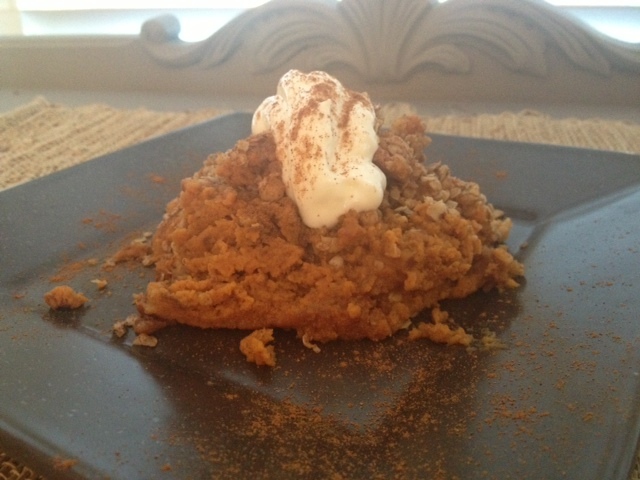 I saw a recipe for Pumpkin Crumble on pinterest and decided to try to “clean it up”. This cleaned up version exceeded my expectations! My husband said 2 words after trying his first bite- “Oh Wow!” You can serve this at your Thanksgiving meal and no one will even know it’s “clean”. Soooooo delicious! Enjoy! Preheat oven to 350F. Mix together all filling ingredients and pour into a baking pan. In a separate bowl mix together topping ingredients and sprinkle over the top of the filling. Pop it into the oven for 1 hour. 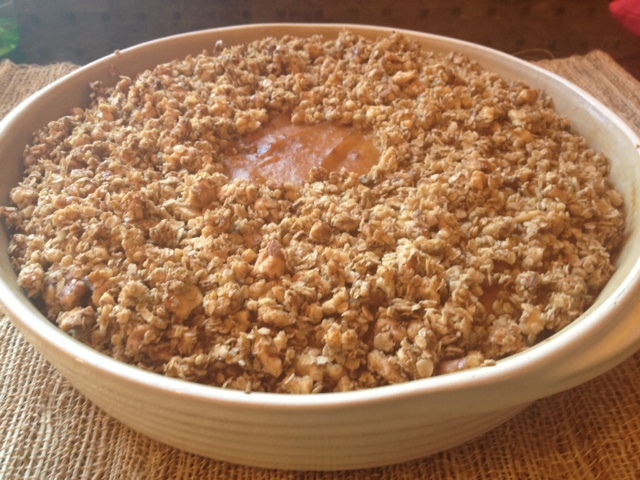 This is a great alternative to pumpkin pie on Thanksgiving.